The Department of French at the University of Virginia cultivates an expansive and critical engagement with the French-speaking world of all periods, from the Middle Ages to the twenty-first century. The faculty includes fourteen full-time Professors and five full-time Lecturers, as well as part-time faculty, lecturers, and graduate teaching assistants. We offer the B.A., M.A., and Ph.D. in French in a collaborative atmosphere in which teaching, advising, and creative scholarship are valued. Studies in French are supported by a very rich collection of books, manuscripts, and videos in the University library, and particularly by the Gordon Collection of rare editions of works from the Renaissance to the Enlightenment. UVa's founder, Thomas Jefferson, expressed a deep affinity for France, its language, thought, and culture. 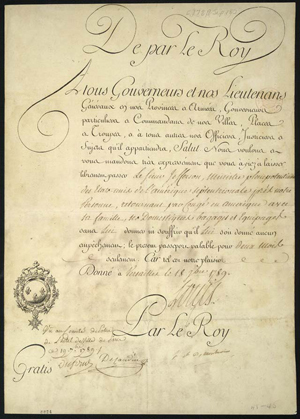 The Department of French at the University of Virginia descends from the School of Modern Languages in Thomas Jefferson’s original organization of the faculty and curriculum. 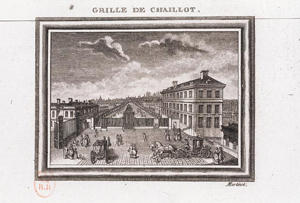 France served from the start as an inspiration for the creation of the University: the general design of the central grounds, the “Academical Village,” follows the outline of Lenôtre’s plan for the Château de Marly, and the ten individual pavilions that surround the Lawn were inspired by Parisian hôtels particuliers admired by Jefferson during his residency in Paris from 1784-1789. Jefferson also specified that a French family of good reputation should reside at the University and take boarders desirous of practicing their French—this is the distant historical basis for today’s French House. As in Jefferson’s time, it is not only the French language that was important but many aspects of French civilization and of world culture available through the medium of the language. The Department upholds this vision by drawing on many disciplines to examine the full historical spectrum of France and to explore the francophone world at large. Literary criticism, literary and cultural history, applied linguistics, socio-linguistics, the history of the language, film study, politics, and rhetoric and the emerging fields of text-image studies and digital humanities are but a few of the disciplines routinely invoked in courses and in faculty scholarship. As the world changes, so does the study of French and we are proud of the disciplinary and geographic diversity of French studies as represented by our students who discover in our department language courses as well as literature, film and culture courses addressing European, African, and American societies.